It’s okay to admit that a much beloved movie is imperfect as long as you rationally recognize the faults at hand. Home Alone belongs to this class of thinking. In fact, I find that the vast majority of films I hold close to my heart are of this variety. Problematic in parts and unforgettable during others. Classic movies which have minor issues – here it’s the pacing and some spotty character development – compensate with indelible imagery and iconic sequences, and it’s safe to say that Home Alone cooks up more than a baker’s dozen in that category. There’s a reason people watch it religiously during the cold months of Winter. This ageless picture simply warms you with cackles of laughter and full-bodied heart and earned gratitude. Billed as “a family comedy without the family,” Home Alone starts in a place of great sympathy, especially for anyone hailing from a massive extended family. 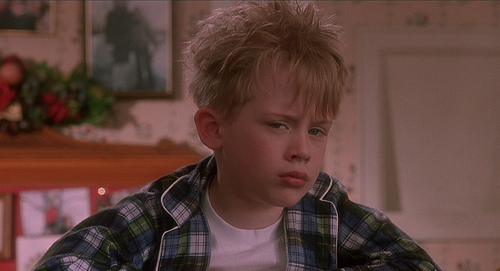 The holidays have a unique way of elevating the madness of a house bustling to the brim, which means Kevin McCallister (Macaulay Culkin) is surrounded by pure chaos. Dad’s (John Heard) busy prepping the final details for a big trip to Paris. 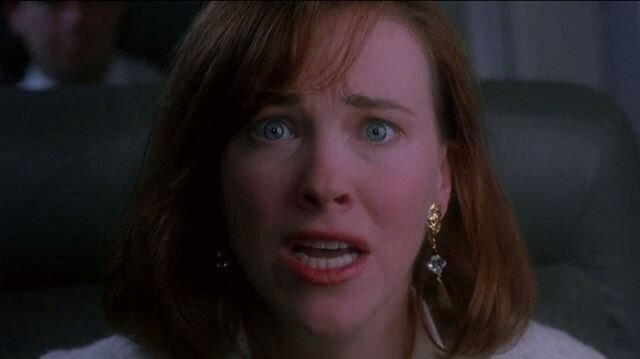 Mom’s (Catherine O’Hara) on the phone and has no time for her youngest cub in the house. His brother Buzz (Devin Ratray) instills fear about the lonely old man next door (Roberts Blossom), Uncle Frank (Gerry Bamman) shows his cheapskate tendencies by ignoring the pizza boy, and cousin Fuller (Kieran Culkin) plies himself with enough Pepsi to ensure a night of bed-wetting. After being sent to sleep in the comfortably outfitted attic space, Kevin tries wishing his family out of existence, eventually awaking to a find that his wish has come true. He’s now the man of the red-bricked mini-mansion in the suburbs of Illinois. The segue into this temporary alternate reality has really obvious cues: high winds, broken tree limbs, a power outage. Home Alone’s road forks at this point, diverging into three separate yet still conjoined prongs. Now that the title has become his reality, Kevin has to learn how to take care of himself, bringing with it ups and downs. Meanwhile, the family’s European getaway is cut short in an attempt to get home ASAP. 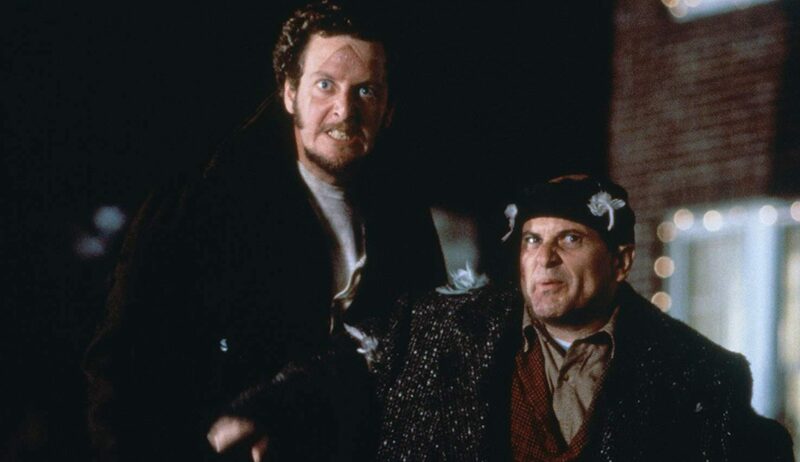 And then there are the petty thieves Harry (Joe Pesci) and Marv (Daniel Stern) who creepily stalk the McCallister’s street – and matter way less to the overall scope of the film than I recalled – hail their home as the crown jewel of the block. For however uneven I found the movie’s somewhat clumsy middle act to be after my latest re-watch, it’s no less entertaining either, assisting what’s turned out to be, in my estimation, the most quintessential 30 minutes of American cinema from the 1990’s. 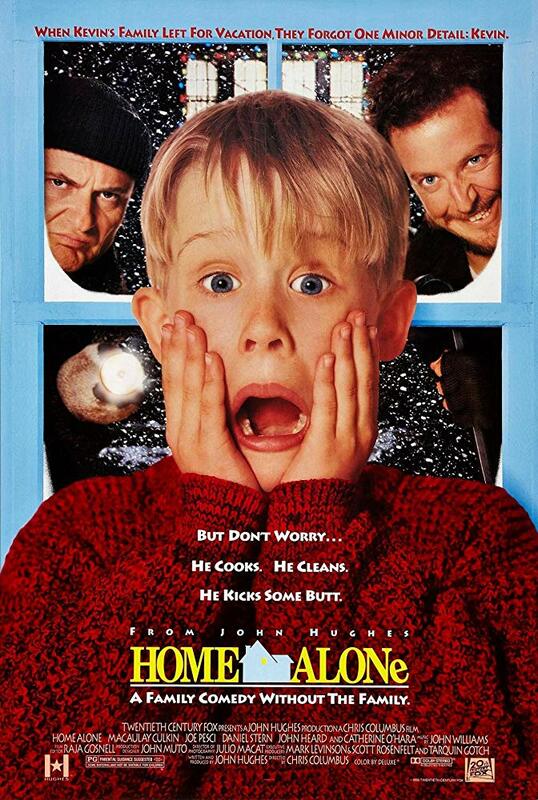 Home Alone sets up plenty of action and plot during its open, dawdles around a bit in the middle (which I understand, given that it’s all about a boy newly unbound by rules), and finally brings it home during the remarkable finale. Director Chris Columbus uses long takes to build anxiety early on and then allows John Hughes’ serious screenwriting prowess to infuse the picture with visual creativity, heady meaning, and a wicked sense of humor, culminating in a movie that’s easy to love and still considerate about the trials of growing up. By the time the credits roll, Kevin has learned survival skills not because he leapt from the nest, but because he was accidentally abandoned and forced to fend for himself. With impeccable casting, endless imagination, and one of John Williams’ very best musical scores, Home Alone earns its place amidst the pantheon of Christmas classics. It’s crazy to think that a picture this silly has the ability to help us all overcome our most basic fears and to deepen our appreciation for family at the same time.